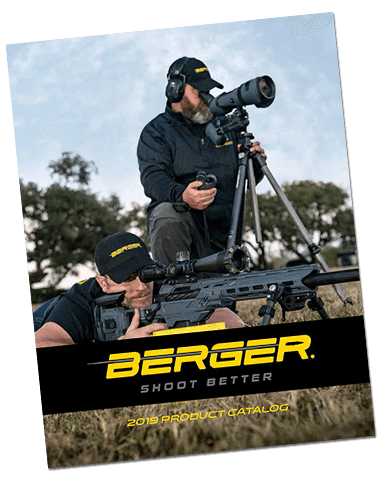 High end of the 1000 yard line at Ben Avery Shooting Facility in Phoenix, AZ. We have put another F-Class Nationals in the books. For the first time, the NRA combined the Mid-Range and Long Range Nationals into the same week. 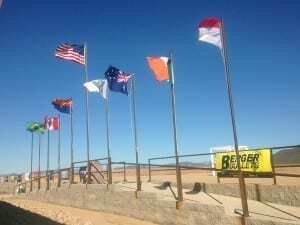 The matches were held at Ben Avery Shooting Facility in Phoenix, AZ, and hosted by the Desert Sharpshooters Rifle Club. Running two nationals back to back was a new experience for us, but we were excited for the opportunity. Phoenix weather forecasts are usually pretty boring, but we had some variety this year. Just a few days before the match started, a huge storm cell blew through the southwest. The range flooded, leaving small lakes in front of several of the firing lines. We also had some pretty strong winds off and on during the week. The wind blew our hospitality tents over the first morning, but we were able to get them back up again for the rest of the week. 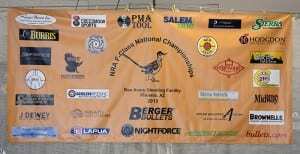 The Mid-Range Nationals were shot first, from Oct. 24-27th. We had around 130 competitors for this stage. 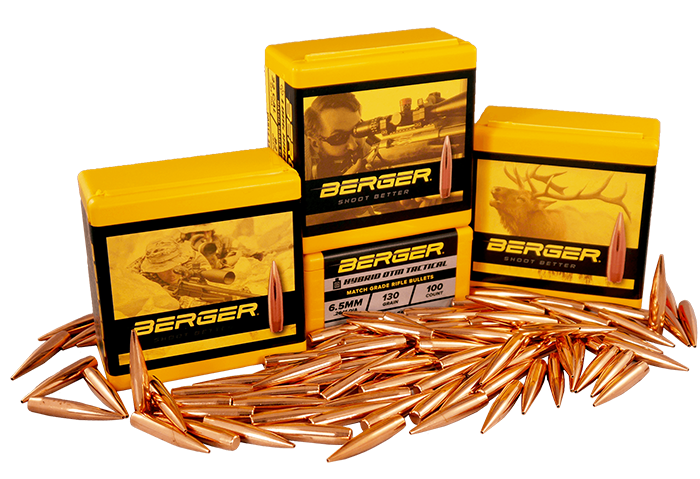 Saturday and Monday were shot at 300, 500 and 600 yds, while Sunday was completely at 600 yds. The temperatures were in the high 80’s, and the winds were light but tricky. At the end of the three days, the 2015 National Mid-Range Champions had been decided. John Myers won the F-Open with a 1794-111x and Bryan Litz won the F-TR with a 1782-96x. The team matches were shot on Tuesday, both at 600 yds. 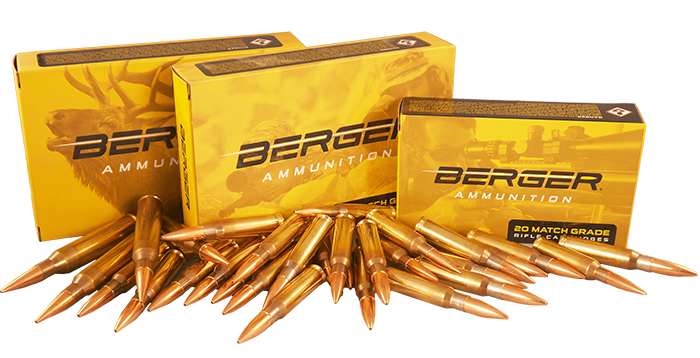 In the first match, Team SEB/Berger shot a very impressive score of 800-52x. That means four team members, shooting 20 shots each, all had a possible score of 200. They’ve been shooting together for years, and it was an honor to watch them achieve this. They also won the combined two matches with a total score of 1598-102x to become the National Mid-Range Team Champions. The Michigan Rifle Team won the F-TR Team Championship with a 1597-89x – quite an accomplishment in those winds with F-TR rifles. Thank you to all of our sponsors! We can’t do this without you. We had long range practice and the Mid-Range awards dinner on Tuesday after the matches ended, and then the Long Range Nationals began on Wednesday morning. 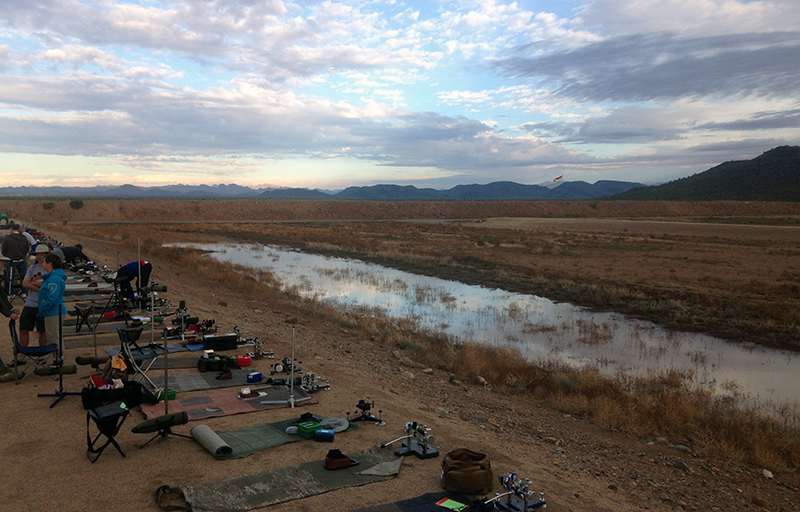 The Long Range Nationals gained more attendance with over 230 competitors between the two divisions. The weather conditions also proved to be a lot more challenging. The temperature dropped, which brought in higher winds and some stormy weather. We were lucky to get done just before the rain and lightning one afternoon. The team matches were held on Friday, with very high, very switchy headwinds. There were several blocks of time that the line went completely silent. The coaches faced the challenge of determining which direction the wind was even coming from, and no one was willing to chance a shot. I always enjoy shooting in conditions like that because even though you get caught by the wind, you always learn something. Plus, everyone else is getting caught too. So it makes for good conversation later! Trudie Fay coached Team Grizzly to the win on the F-Open side with a 1560-49x. The X-Men won their first National F-TR Team Championship with a 1530-33x. Both teams had some great scores in some very challenging winds. The individual matches ended on Saturday with two final matches at 1000 yds. The morning was as windy as the team matches, but it calmed down a little as the day went on. When the dust cleared, the 2015 Long Range F-Class Champions had been decided. Bryan Litz won the F-TR with a 1558-55x. For someone relatively new to F-Class shooting, he had a very successful year! And on the Open side, David Gosnell won his first National Long Range Championship with a 1583-91x. Thank you to the sponsors who donated prizes to the winners. You make such an impact in these matches, and you are very much appreciated. Also, thank you to everyone who helped out before, during and after the match. Even the small things make a huge difference, and it meant a lot to us. It was a very full week, with many stories and achievements. We were so happy to welcome friends from Australia, Brazil, Canada, Indonesia and Ireland. Thanks to all of you who came out to shoot with us. We hope to see you again at the next match! 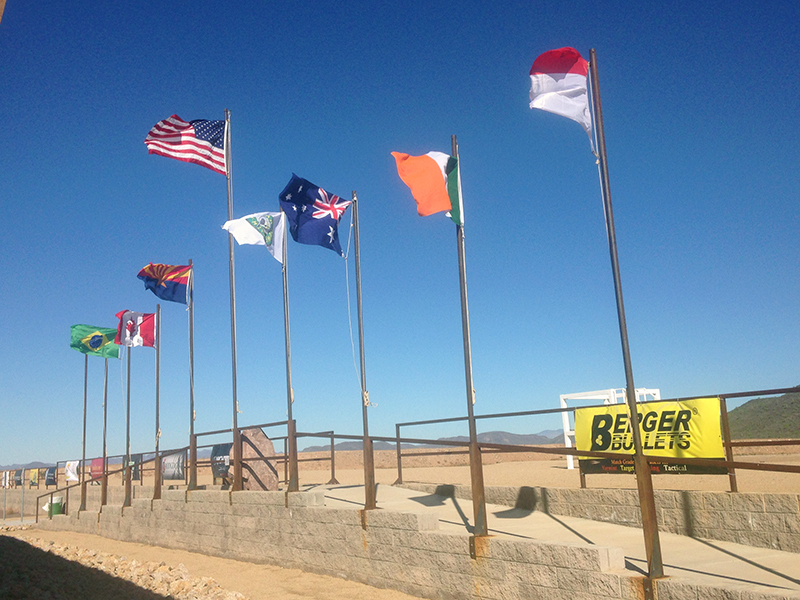 Visit the Desert Sharpshooters website for full results, and the Berger Bullets Flickr page for photos of the matches. 2015 National F-Class Long Range Champions. Listed from left to right – X-Men (F-TR Team Champions), David Gosnell (F-Open Champion), Bryan Litz (F-TR Champion) and Team Grizzly (F-Open Team Champions).” width=”800″ height=”206″ /> 2015 National F-Class Long Range Champions. Listed from left to right – X-Men (F-TR Team Champions), David Gosnell (F-Open Champion), Bryan Litz (F-TR Champion) and Team Grizzly (F-Open Team Champions). 2015 National F-Class Mid-Range Champions. 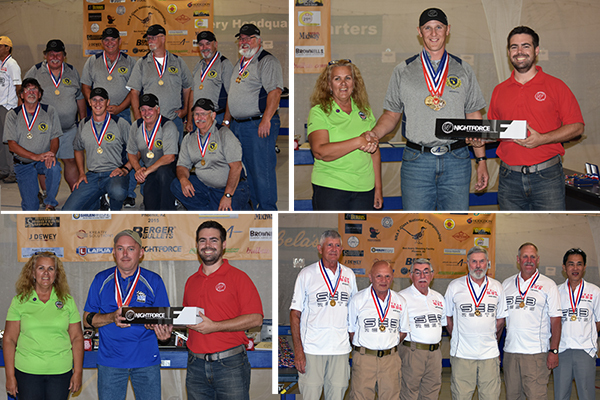 Listed from left to right, top to bottom – MI Rifle Team (F-TR Team Champions), Bryan Litz (F-TR Champion), John Myers (F-Open Champion) and Team SEB/Berger (F-Open Team Champions).